one happy little crafter: Merry Mac! Hello there, thank you for visiting me today....so much has been going on here recently, which hasn't left me with a lot of blogging time so I hope there are still some of you out there. So, Saturday saw the day I've been dreading for the last few months....actually no, for the last 19 years....as we took Megan off to Uni. Gosh, what a day that was, it was so hard to drive away and leave her there, we generally get on ever so well, and I am blessed to have such a special daughter. We had a few tears in the car before we even left our driveway but that was on the back of saying goodbye to the dogs. She isn't the most outgoing of people, and it can take her a while to come out of her shell, and she also suffers with a "nervous tummy" which unfortunately has played her up a little over the first few days. But she is getting on well with some of her new flat mates and people on her course, so I keep reminding her (and myself!) - Baby steps!!! I was lucky enough to have an evening out with her last night, as she'd treated herself to tickets to see Wicked (again!!!) 4th time for her and 3rd for me, but it was the 10th anniversary of the London show, and it was a marvelous evening. The encore featured many former members of the cast, which was real treat.....If you have never seen this show, I would highly recommend! 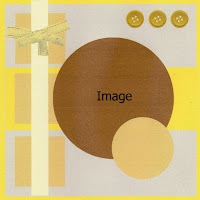 papers are random scraps "from the box"
Super card, great image and colours. My son went back to Uni for his second year a couple of weeks ago - he is in a shared house this year and we are going up on Sunday to sort out a few things for him. I'm sure Megan will soon settle in, it won't be long before it's half term! Adorable Christmas card Lisa! Great take on the sketch too. Beautiful card Lisa. Love the colouring of your image. Well done on doing the sketch,such a cute image,thanks for joining us here at winter wonderland,Lyn DT. 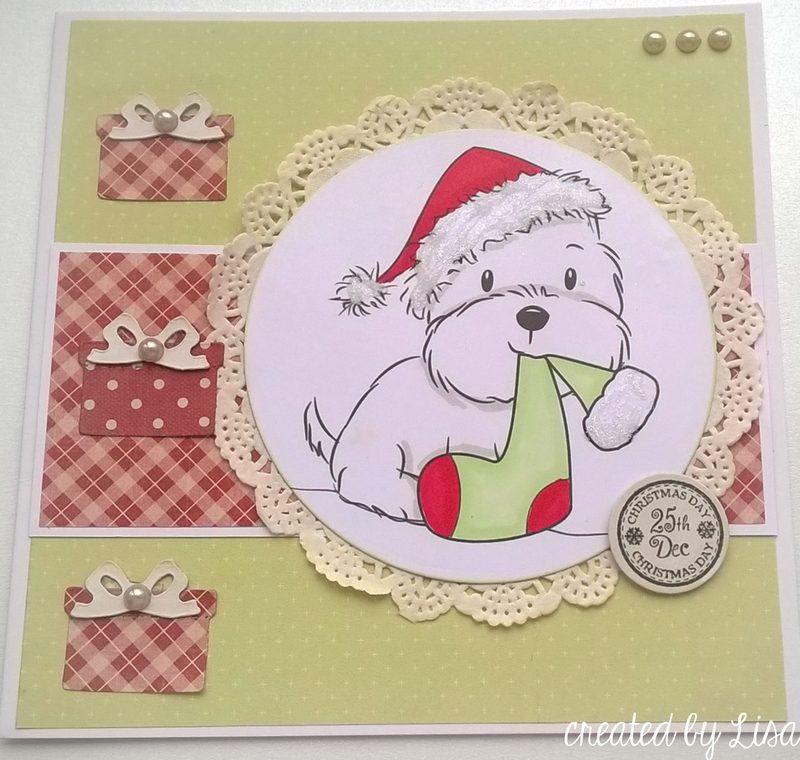 super cute card...luv the doily layer! I am so glad you played along with us at simon says stamp wednesday challenge! Aw that little doggy is so cute! Love your colouring and your papers and layout are perfect! I've just taken my boy back to Uni for his second year and for the first time, I didn't cry!! It definitely gets easier! !